14 1/2" overall. 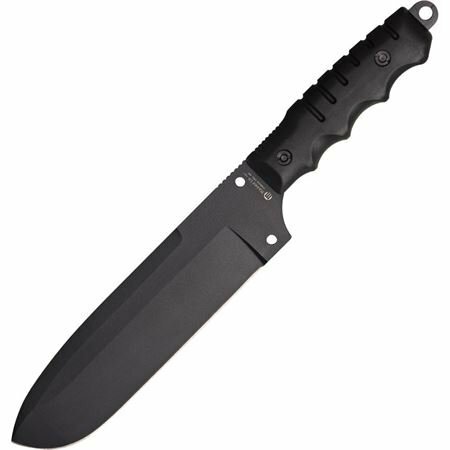 8 1/2" black finish 440 stainless blade. Finger grooved black rubber handles. Extended tang with oversized lanyard hole. Black nylon belt sheath with black cord lanyard.